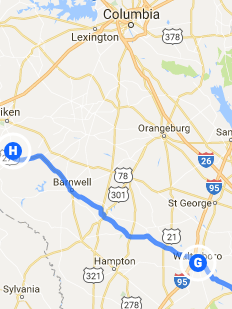 Trip Log – Day 285 – Walterboro SC to New Ellenton SC | How Will We Live Tomorrow? 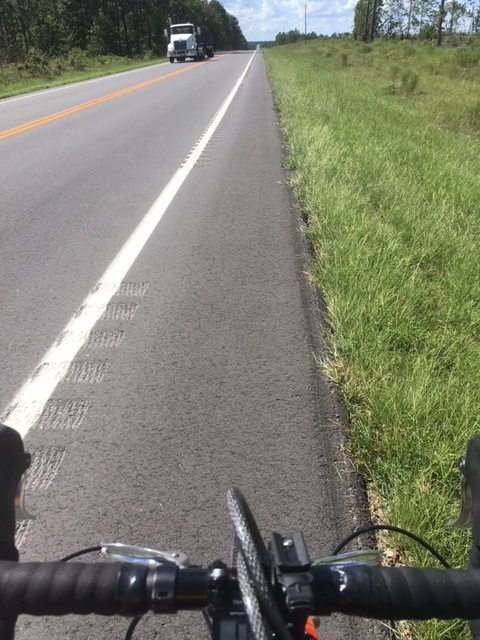 A great day of cycling out of the Low Country and into the gentle hills of upland Carolina. The pines got taller along my route and provided a good deal of shade, except in areas where recent harvests were replaced with saplings. 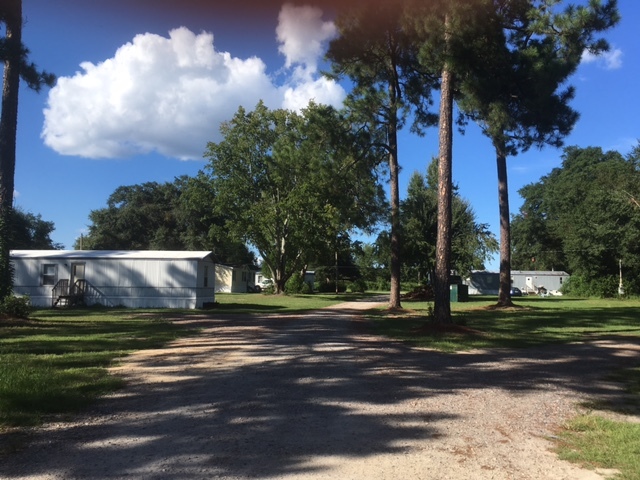 South Carolina has the highest per capita population of people in mobile homes. However, there are few of the large mobile home parks we have in the northeast. Instead, there are many compounds of mobile homes grouped together. Apparently, a family group often shares them. 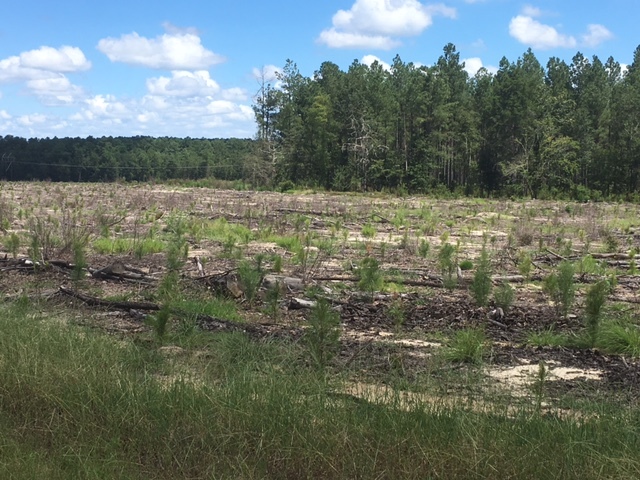 Finally – a shoulder in South Carolina! 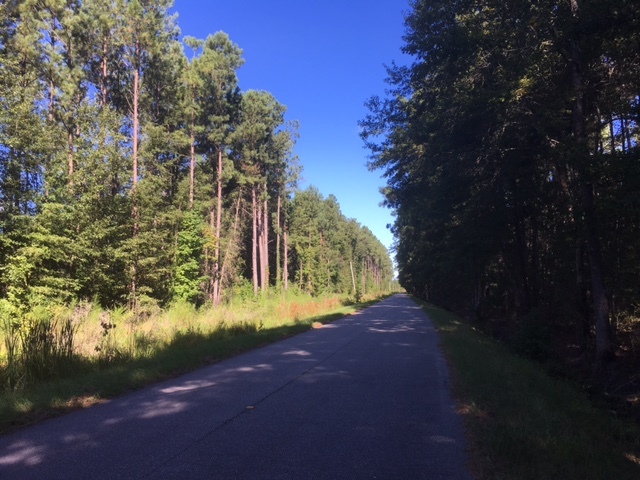 US 278 west of Barnwell was one of the best road s of my trip; smooth pavement, a wide shoulder, and a groove strip to keep the passing cars at bay. I sailed into New Ellenton with ease. This entry was posted in Bicycle Trip Log and tagged mobile homes, New Ellenton SC, pine forest. Bookmark the permalink. Paul , it’s been interesting reading your daily log. I hope you get some cool weather. The gods must listen to you! Each day has been cooler since I left New Ellenton.